David Gray hails from Manchester, England and has enjoyed a distinguished career as a singer/songwriter and recording artist. He’s sold more than 12 million albums, including his global smash, 1998’s White Ladder, which remains the single best selling album in Irish history and includes his international breakthrough hit “Babylon.” Starting with the release of White Ladder, David made significant use of computer-generated music to accompany his voice and acoustic instrumentation, a technique which differentiated him from many of his peers. David has won two Ivor Novello Awards and a Q award, and received a BAFTA nomination, two Brit nominations and a Grammy nomination. Over the last few years, David was the supporting act for the likes of Kirsty MacColl, Dave Matthews Band and Radiohead. In the summer of 2011, he played at the Dave Matthews festivals in Atlantic City and Chicago and is scheduled to perform at the Nashville Southern Ground Music & Food Festival in September of this year. Opening for David Gray will be Northern Ireland born singer/songwriter Foy Vance. Vance draws his musical inspirations from both British folk traditions and American gospel, blues and soul. For more great info about David and to sample some of his music, check out his official website at http://www.davidgray.com/. Also, check out the performance video below. 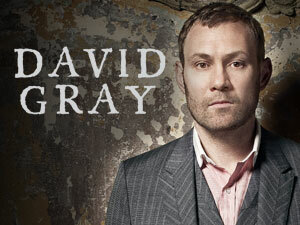 David Gray – Tuesday, September 25 – Click here to purchase tickets.